With built-in Qi technology and QC 3.0 the wireless charging power bank lets you more flexibly charge your mobile devices. Like the idea? Let’s keep checking. This is a versatile and practical portable power bank that measures 1.02 x 3.81 x 2.91 inches. As we can see from the images, it shows off a sleek and minimal design, and the compact firm factor makes it an ideal companion for your mobile devices. 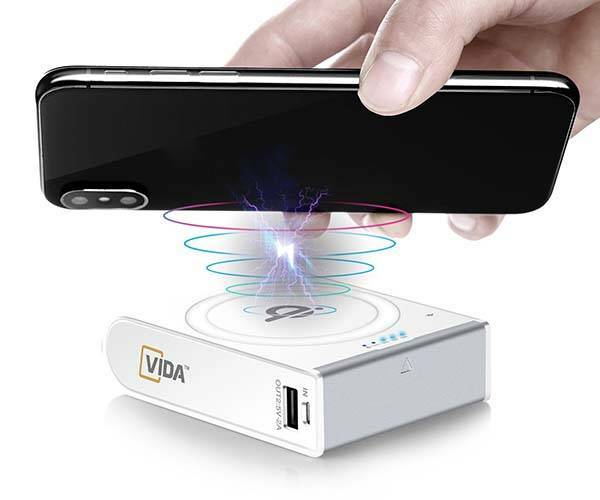 As a wireless charging power bank, it features built-in Qi wireless charging pad, so you can use it to charge any Qi-enabled smartphone like iPhone X, iPhone 8/8 Plus, Galaxy Note 8 and more. 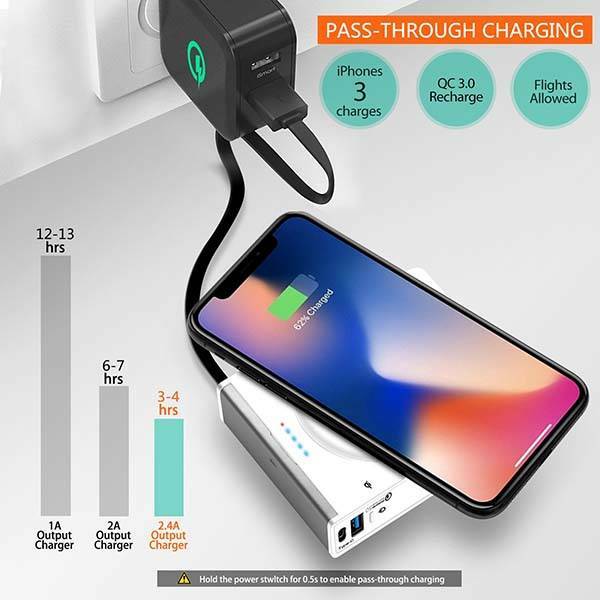 Furthermore, the portable charger comes equipped with a USB port that charges more mobile devices, and it features Qualcomm Quick Charge 3.0 technology, which more quickly charges QC 3.0 equipped smartphones. 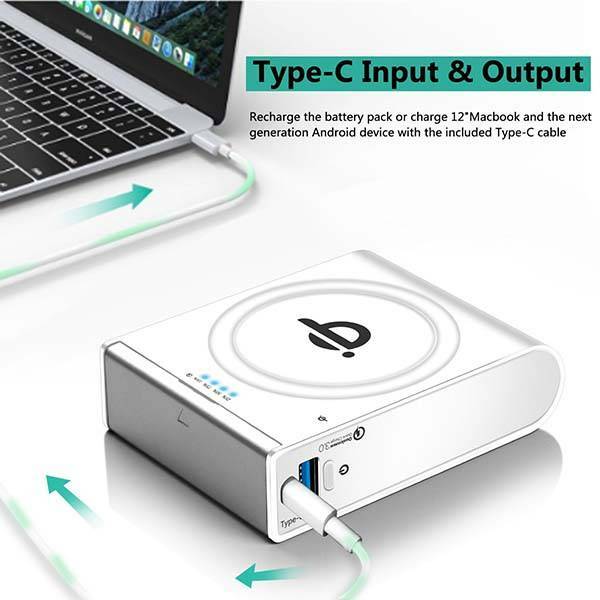 Moreover, a USB-C port supports both fast 2A input and output, so it’s good to charge your MacBook, Nintendo Switch and more. The pass-though charging allows for charging the power bank and your mobile devices at the same time. In addition, the power bank has 10000mAh battery capacity with over 700 charge cycles. Built-in smart protection system keeps your devices safe from over-charging, over-voltage, over-current and short circuit. The wireless charging power bank is priced at $29.99 USD. If you’re interested, jump to here for its more details.